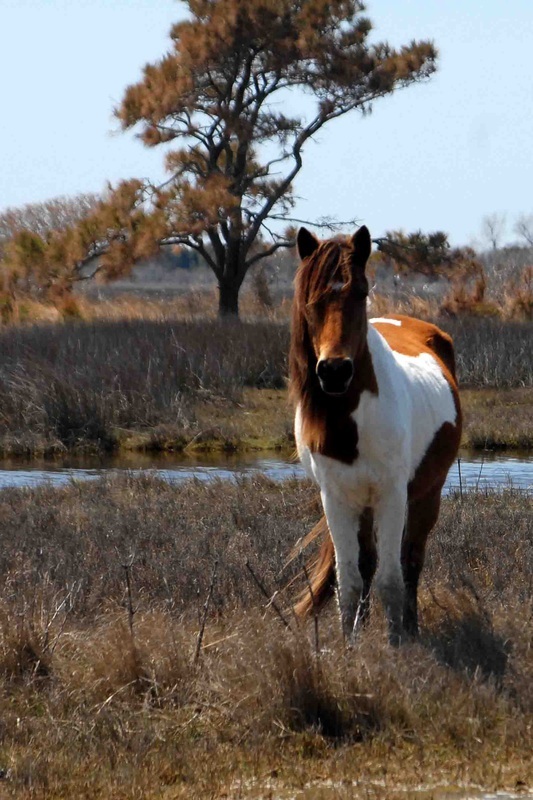 We observed another band of horses grazing on the salt rich marsh grasses slowly work their way towards us. As they approached, we tried to blend into the trees surrounding us in hopes the band would get even closer. As we backed away, Carl stepped on a dry stick and when it broke, this stunning pinto mare snapped her head up and looked directly at us.